Location. 38° 52.212′ N, 119° 48.638′ W. Marker is near Sheridan, Nevada, in Douglas County. 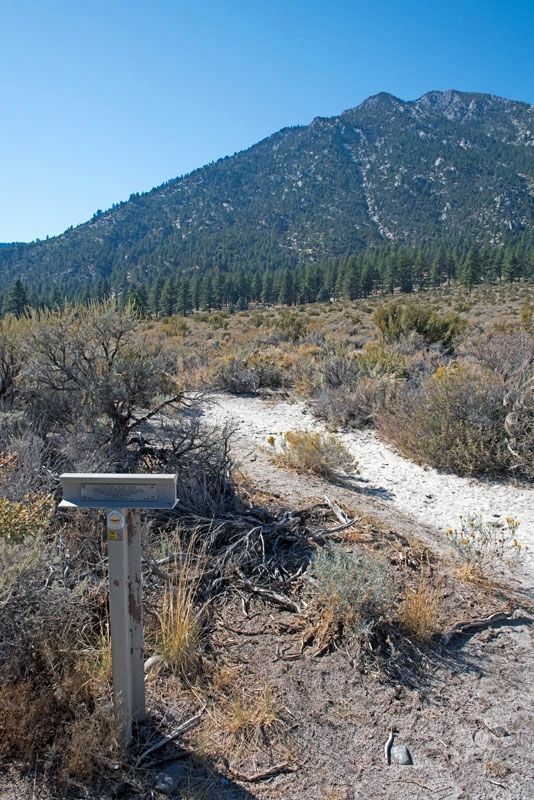 Marker can be reached from Foothill Road, on the right when traveling south. Touch for map. Marker is at the rear of the Fay-Luther Trail parking lot. 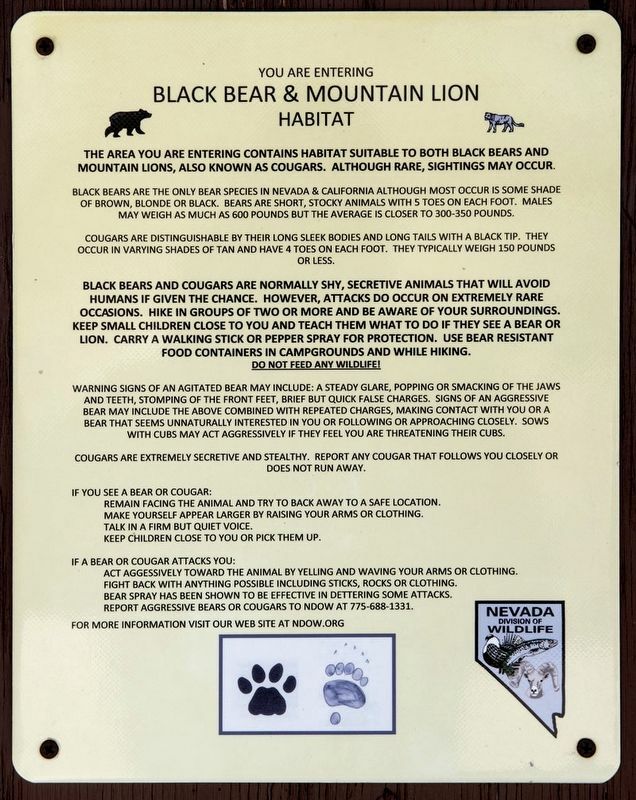 The parking lot is on Foothill Road (State Route 206) about 500 feet south of Horsethief Circle. 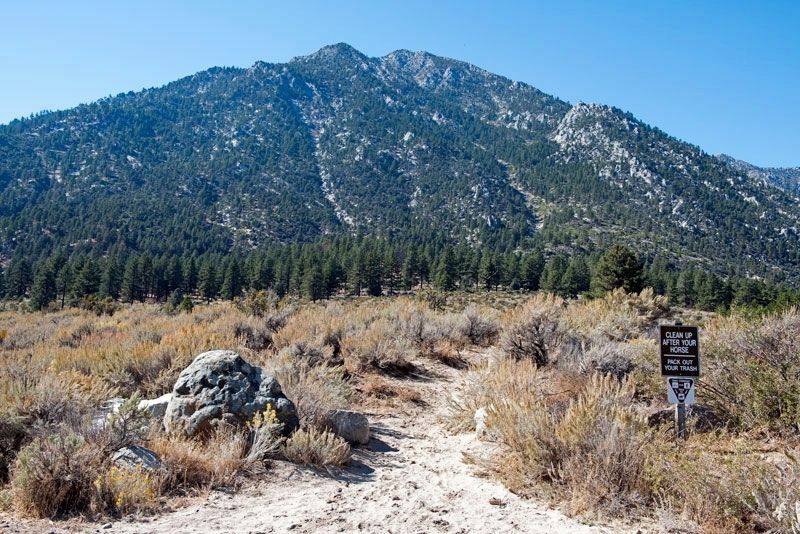 Marker is in this post office area: Gardnerville NV 89410, United States of America. Touch for directions. (approx. 5.9 miles away); Record Courier Building (approx. 5.9 miles away); Ritchford Hotel (approx. 5.9 miles away). More. 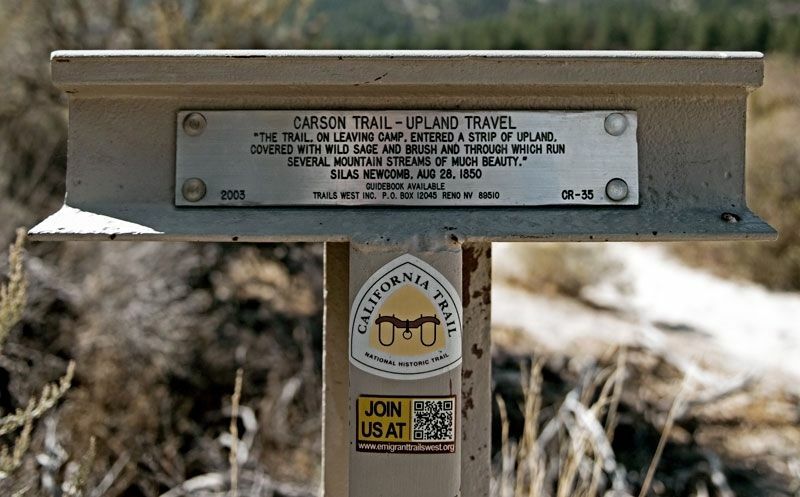 Search the internet for Carson Trail - Upland Travel. Credits. This page was last revised on November 20, 2016. This page originally submitted on November 20, 2016, by Alvis Hendley of San Francisco, California. This page has been viewed 130 times since then and 4 times this year. Photos: 1, 2, 3, 4. submitted on November 20, 2016, by Alvis Hendley of San Francisco, California. • Syd Whittle was the editor who published this page.